Our new comic The Aphid is back from the printers! Hats off to Rich at Comic Printing UK. Anyone who needs their comic printing should look no further for all their printing needs we say. It will be available from 24th of June at ELCAF. See you there. Henry’s new comic ‘The Aphid will debut at ELCAF 2018 23rd and 24th June. The Aphid is a response to the recent death of Mark E Smith and a lifetime listening to The Fall. Here’s a few pages. Stanley’s new comic ‘Darren’ will debut at ELCAF 2018. It tells the story of a creatures quest to buy a beloved Star Bar. Here’s the front cover and a page. See you at ELCAF. 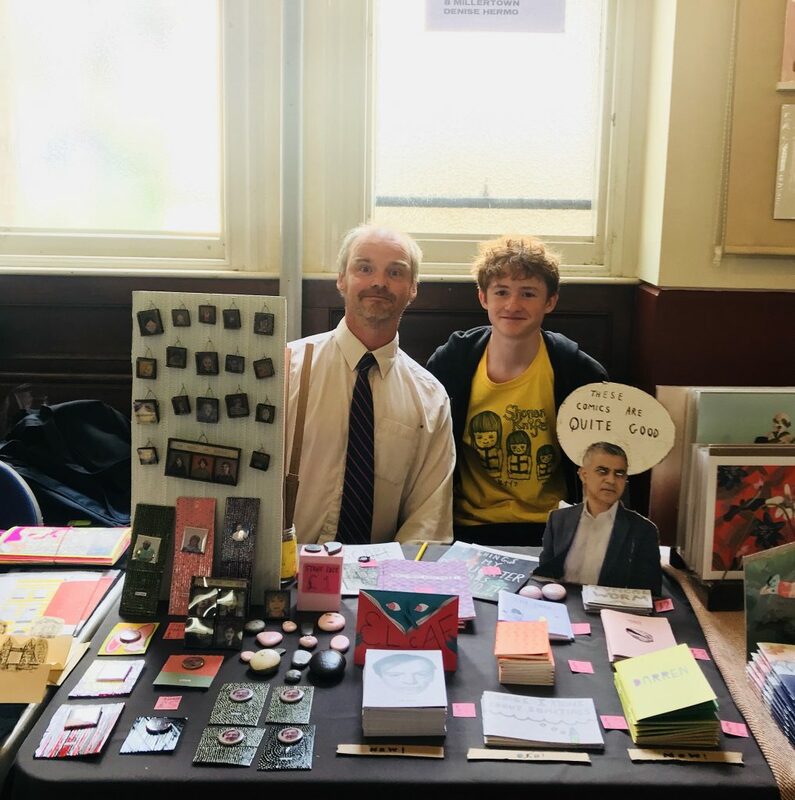 Our ‘Nice Stone Faces’ went down a storm at ELCAF this year. May they bring their new guardians good fortune and prosperity. And here is the long awaited reveal of our new half table endorser Cardboard Philip Schofield. He bought his friend along with him, Cardboard Sadiq Kahn. Sadiq was over heard saying he had a large comic collection and is a big fan of Dan Cox and John Riordan’s Hitsville comic.